According to full-time contributor, Dustin, writing guest posts on MMM gives you more personal energy. See if he's right, and write something now. Submit via email with a short personal introduction. Reid is an endocrinologist from Henderson, Nevada. Reid is blessed with a wonderful wife and three great kids. He counts it miraculous that his eclectic interests (family, travel, museums, history, Imperial Roman coinage of the Flavian Dynasty, fly fishing and cycling) are actually shared by at least one member of his family. Reid enjoys blogging on every-day occurrences as seen through his Mormon sunglasses. I used to be a movie guy, but somewhere along the way I lost some of my passion for them. It's something I'm working on, because the rest of the family loves them. The other day, the girls brought home one of my favorite movies of all time: The Princess Bride. They bought the 25th Anniversary disc (here for MMM's 25th Anniversary post) and I not only watched all of it, but all the the Special Features as well. 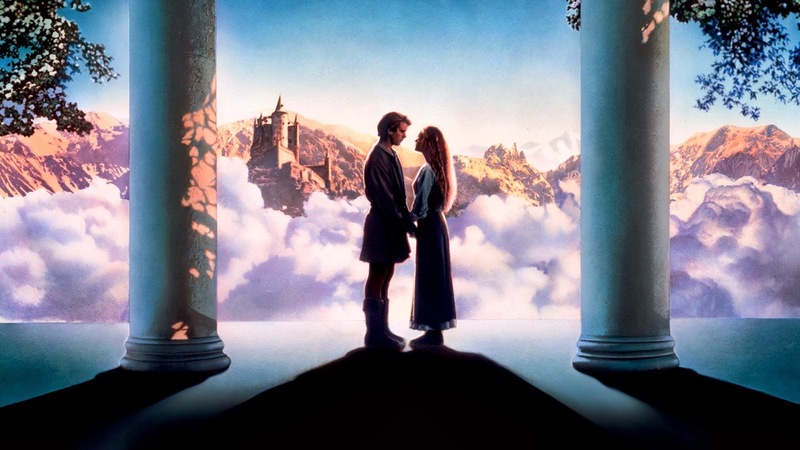 How can you not love a movie about a beautiful kidnapped princess, the evil Prince that is trying to marry her against her will, and the farmboy/pirate/rescuer that is her one true love? It's inconceivable! As with all fairy tales, this story can be viewed as allegorical. * It teaches us about such immortal themes as patience, perseverance, loyalty and most importantly true love. Such lessons may come in handy as we intermittently wrestle with giants or ROUS, cross swords with Spaniards, cling tenuously from the Cliffs of Insanity. Unfortunately most of use are destined to spend at least some time alone in the Pit of Despair. Westley: Hear this now: I will always come for you. Buttercup: But how can you be sure? Westley: This is true love - you think this happens every day? Westley: I told you I would always come for you. Why didn't you wait for me? Buttercup: Well ... you were dead. Westley: Death cannot stop true love. All it can do is delay it for a while. Buttercup: I will never doubt again. Westley: There will never be a need. In the end Buttercup is rescued, having overcome her doubts and evermore trusting that her Westley would come for her. In a miraculous way, good triumphs over evil. But the happily ever after ending does not come without first testing our patience and perseverance. As Miracle Max reminds us: "You rush a miracle man, you get rotten miracles." * I'm not the first to see The Princess Bride as Christian allegory. Here for a very good (and comprehensive) analysis of this. ** It's ironic that the movie is described as being "incredibly, incredibly Jewish" considering the overt Messianic imagery associated with it. *** Isaiah wrote extensively of the betrothal of Israel to Jehovah (Isaiah 49:14-17, 21-26; 50:1-2; 52:1-2), with further references in the writings of Paul (Ephesians 5:22-23) and John the Revelator (Revelation 19:7-9).